Labasa has taken the lead in the Vodafone Premier League points table after gaining four points in the weekend. The Babasiqa Lions held defending champions Lautoka to a nil all draw on Friday evening and came from behind to beat Suva 2-1 on Sunday. Labasa coach Anand Sami said he was happy with the results after playing two tough matches in the weekend. “We had a slow start in the match in the first half but I made some changes in the second half which worked well for us, “said former Labasa and national rep.
Suva coach Intiaz Khan said the better team won. “It was a month break which really made difference in our match as we gave away the game in the second half. 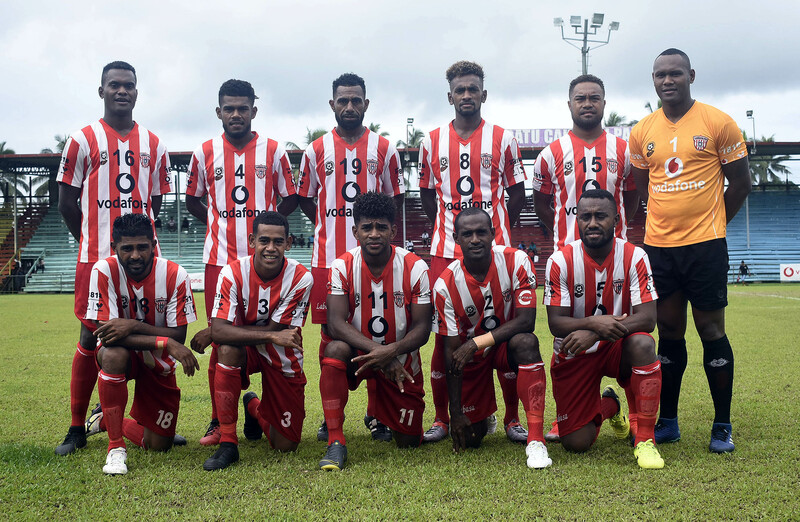 Nippy Meli Codro opened the account for Suva in the 20th minute of play while Siotama Kubu’s double in the 49th and 79th minute goal gave Labasa the much needed win. Labasa takes break this weekend in the Vodafone Premier League while Suva faces Rewa at Ratu Cakobau Park in Nausori this Sunday at 3.30pm.